The Guardian has today (Saturday, 11 November) featured an interview with Neil Basu, Deputy Assistant Commissioner, at the Metropolitan Police Service. The officer spoke about neighbourhood policing and the threat from Islamist and far-right terrorism in the UK. He was asked about the number of attacks foiled by police and the security services in light of this year's atrocities. Our response to the Guardian story is below. 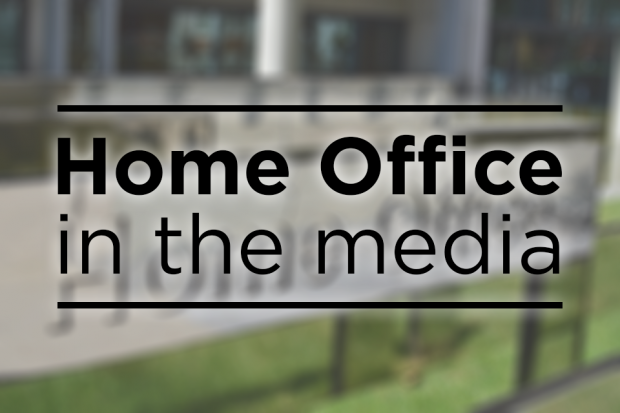 The public can be assured that this Government will do what it takes to keep families, communities and our country safe. That is why we have ploughed extra funding into counter-terrorism and given the police, intelligence and security agencies the powers they need to protect us. We committed in 2015 to increasing the money spent on counter-terrorism by 30% from £11.7 billion to £15.1 billion over the five years to 2020. We have also protected overall police funding in real terms, are providing £144m to increase armed policing capability in order to respond more quickly and effectively to an attack and are recruiting an additional 1,900 officers at our security and intelligence agencies. • This Government is providing £707 million to support counter terrorism policing in 2017/18. This includes £633 million resource funding and £42 million capital funding in 2017-18. In addition a further £32 million will be provided for armed policing from the police transformation fund in 2017-18 to support police as they transform how they work to meet the challenges of the future.